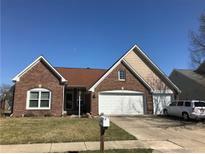 Below you can view all the homes for sale in the River Oaks At Geist subdivision located in Indianapolis Indiana. Listings in River Oaks At Geist are updated daily from data we receive from the Indianapolis multiple listing service. To learn more about any of these homes or to receive custom notifications when a new property is listed for sale in River Oaks At Geist, give us a call at 317-623-3471. Let's not forget about that 3-Car Garage...Space Galore! MLS#21629044. Front Porch Real Estate, LLC. Water heater 2018, roof 2017, ext paint 2016, HVAC 6-8 years. All Appliances included Washer & Dryer! MLS#21626410. Berkshire Hathaway Home. This 4 bedroom, 2.5 bath home features a formal living room, formal dining room, family room with fireplace, main floor laundry room, 2 car garage and master suite with vaulted ceiling, and double sinks. This is a must see! MLS#21585126. Keller Williams Indy Metro W.